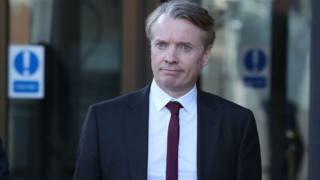 The jury in the trial of former Rangers owner Craig Whyte have been sent to consider their verdict after six weeks of evidence. Mr Whyte, 46, denies acquiring the club by fraud in May 2011. He also denies another charge under the Companies Act. The Crown alleges he pretended to have funds to make all the required payments for a controlling stake in the club. Judge Lady Stacey told the eight men and seven women on the jury to take whatever time they needed. The judge started her charge to the jury on Monday at the High Court in Glasgow and told them to keep "cool heads" as they consider all the evidence in the case. The Crown alleges the 46-year-old pretended to then-owner Sir David Murray that funds were "immediately available" on an "unconditional basis" to make all required payments for a controlling and majority stake in the Glasgow club. Advocate Depute Alex Prentice QC has told the court Whyte did not have authority over the funds used in the takeover and "induced" the Murray Group to sell, but defence QC Donald Findlay described the accused as "the fall guy" in the case. Lady Stacey laid out the verdicts available - guilty, not guilty and not proven - and told the jurors to have a "good, hard look at what has been put before you". Asking the jury to retire, the judge said: "You have listened patiently to all of the evidence and must have as much time as you do require."